Man Utd ace Alexis Sanchez is reportedly in line to start for the Red Devils when they host Tottenham at Old Trafford on Monday night. 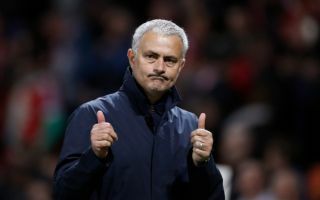 Jose Mourinho and his men will be desperate for a positive result against Spurs after the disappointing defeat to Brighton last time out. The knives were out for Man Utd from pundits and some supporters alike after that loss given the manner in which they were seen off by their opponents, which arguably undid some of the good work after the opening-day win over Leicester City. In turn, particularly with Premier League title rivals Man City and Liverpool looking in good form to start the new campaign, the last thing that United can afford to do is fall off the pace immediately and so they’ll be eager to bounce back. According to The Sun, they’ll be handed a boost against Tottenham as it’s claimed that Sanchez is expected to start after overcoming the injury which sidelined him against Brighton. The Chilean international has struggled to hit top form since his January move from Arsenal, but given his quality in the final third coupled with his work-rate and desire to track back and defend for the team, Mourinho will surely be delighted to welcome him back into the fold. Sanchez registered 11 goals and nine assists in 40 appearances last season across spells with the Gunners and Man Utd, which was significantly down on his statistics from the previous year. With that in mind, provided he is now fully fit, he’ll be desperate to prove he was a sensible investment for the Manchester giants and will hope that he can start having a positive influence this season against Spurs.